Tuesday nights are one of my favorite nights of the week, as I know that the Real Housewives of Beverly Hills is on. It is one of the few shows I actually watch live instead of on my DVR-and I am even willing to put up with the commercials! Beverly Hills is generally light and frothy with a little drama thrown in. Which is a nice break from some of the heavy going of other reality shows. In the most recent episode, however, things took a very dark turn in Beverly Hills. 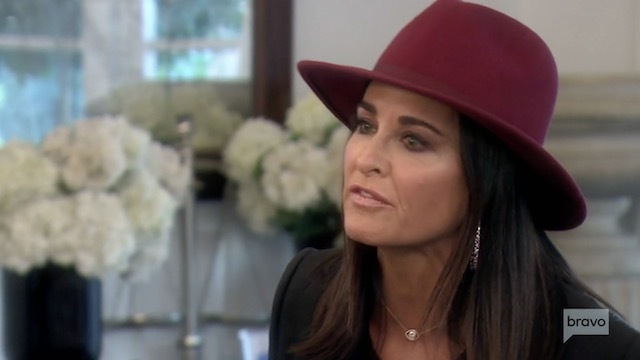 The confrontation between Lisa Vanderpump and Kyle Richards is one of the most painful things I have watched on reality television. You know how the previews of a scene are often a let down when the show actually airs? Well, this one was even more dramatic and heartbreaking than the clips teased. And Teddi Mellencamp Arroyave is not shy about letting us know whose side she is on in the dispute between Lisa and Kyle. Okay you guys, let’s join hands and take a deep, cleansing breath. Teddi Mellencamp Arroyave is talking about the best thing that ever happened in her life #puppygate again. Because, of course, she is. The Real Housewives of Beverly Hills star has been paramount in this season’s main storyline, thanks to Dorit Kemsley. If it hadn’t been for Dorit’s incompetence in following directions, where would this season be? As far as I’m concerned, Teddi should be sending Dorit flowers every single day, maybe the other ladies should too. No one wants to talk about anything but poor Lucy Lucy Apple Juice. You know, because then they might have to address the multiple lawsuits against their husbands. 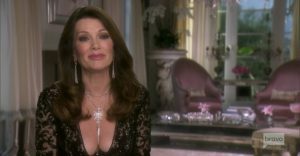 It’s easier to vilify mind control expert Lisa Vanderpump, who was grieving over the loss of her brother and holding down four restaurants. Alas, all good things must come to an end, and now we shall dive into the aftermath of hashtagpuppygate.